I hesitantly purchased these jeans the other day, I say hesitantly as they are super duper high waisted. And they don't have any front pockets. But I think I kind of love them. They are very stretchy and surprisingly comfortable. I don't know if i am quite brave enough to wear them with something tight an cropped but a sheer T-shirt is as far as I am currently willing to go. I paired it with my very 90's Calvin Klein bra. I really wanted the black one (obviously) but someone returned this one to work and I snapped it up immediately. I still have my eye out for the black version but as far as I know they are quite hard to get ahold of at the moment. These sandals are also a new find. 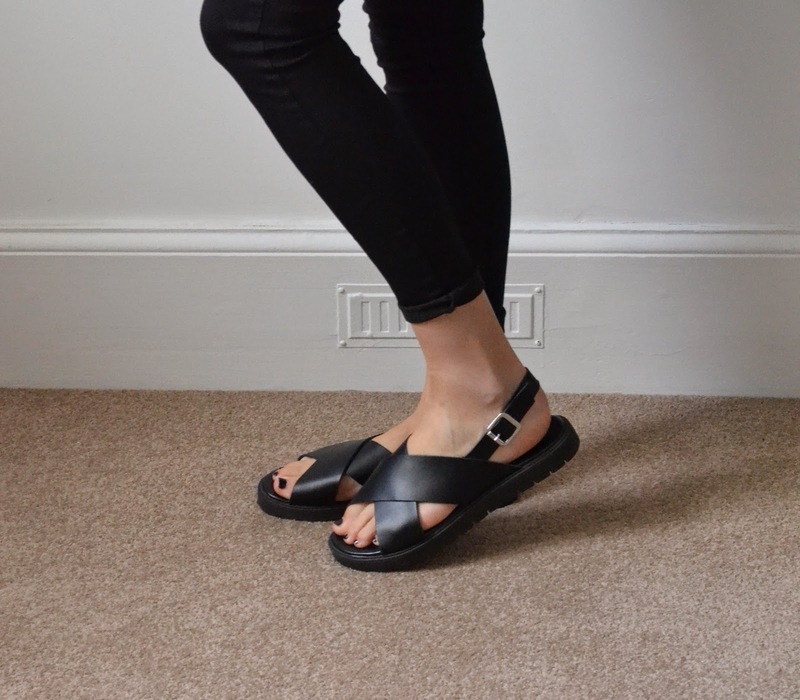 I wanted some plain black sandals for my holiday and whilst scanning Asos I spotted this pair from New Look! I would never think to actually go into New Look and shop and thats what I love About Asos, there is such a wide variety of brands and styles all in one place. That and the free delivery! Love how you can see the Calvin Klein Bra/Bralet under the mesh.. very cool!